Whilst I very much deny that I have it and will not accept that I do, it is still a topic that I wanted to talk about. Maybe it will help me, maybe it won't. Finding out about it lead me to do some reasurch and look into it. It lead me to reading other people's blogs, Twitter posts, Instagram posts and what not. I was quite shocked by what I came to conclude. It is not a person being vain and fishing for complements! It is a serious and very real form of anxiety. Everyone has insecurity's, I would say you were lying if you said you didn't. Depending on how we are feeling some days we can be a little bit more self conscious than normal about these insecurity. This is natural and should be expected. We live in a world where we are bombarded with images of 'perfect' looking people and we have to look at ourselves everyday and try so hard not to compare ourselves to these people. Some days however, we can feel great about ourselves and that is awesome. But from what I have read, and from my own personal stubbornness to accept it, body dysmorphia is something more than an insecurity. It's being able too see yourself in a mirror and all that you can see is fat. To see a real version of yourself but all you can foucus on is the flaws. The only thing you can see is the fat collecting on your legs, how the fat wraps around your arms, the fact that your face is too pudgy and don't even get me started on the stomach area. It's your trust being shattered time after time when your friends and family tell you, you need to gain weight. It's the paranoia that follows you, it clings to you. You start to lose trust in the people closest you because they are telling you something that you can't see. They try and encourage you to eat more but to you it feels like betrayal because in your eyes you are fat. I don't know if you know anyone who has body dysmprophia, but please never make the assumption that people with it are vain or attention seeking. It's real and not every nice. It doesn't just stick with teenage girls either. Males can have it, anyone can have it. it doesn't have to revolve around a person weight either, a person can spend hour after hour in the gym and still think that they are scrawny and have no muscles but everyone else thinks they're ripped. So yeah, it's not my normal happy post but I think this is a bit of an issue that I wanted to rant about and get off my chest. What has helped slightly. 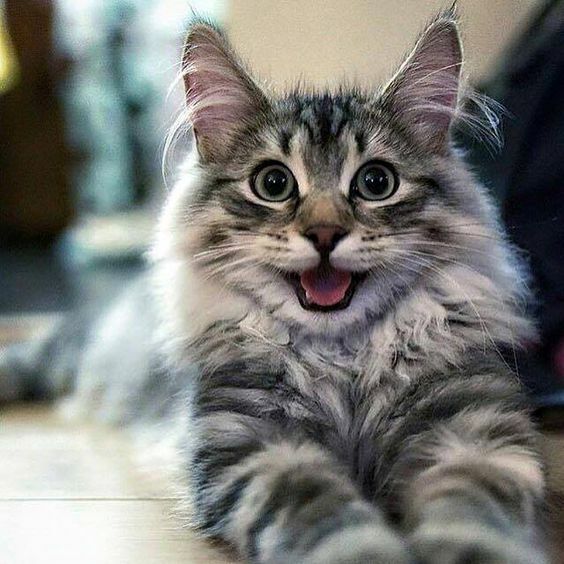 And because this has been a bit of a miserable post, here's a picture of a smiling cat I found off the Internet to cheer everyone up.